For these limited-English speakers, language access represents equal opportunity for health care. For Medicare plans, it presents an opportunity to be far more than equal, as plans can distinguish themselves by taking an approach to language access that engages and supports an audience that is rapidly growing. 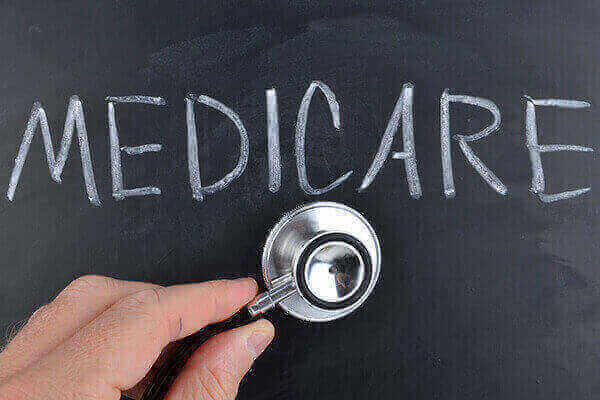 Just over 57 million U.S. residents are enrolled in Medicare plans. 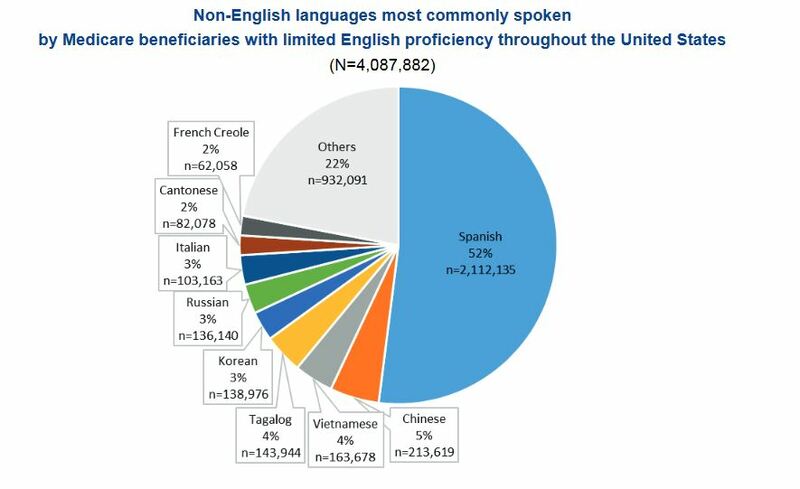 Eight percent of these individuals are limited English proficient. Among Medicare beneficiaries, 8 percent are Hispanic and 3.5 percent are Asian. A large number of both these populations are limited English proficient: 49 percent of all Hispanic beneficiaries are LEP, while 57 percent of Asian beneficiaries speak limited English. Medicare will grow in importance to these communities in the not-too-distant future. People of color account for about one-fifth of adults in the U.S. ages 65 and over – including 7 percent Hispanic, 4 percent Asian, and 1 percent other races. By 2040, people of color will comprise about one-third of the U.S. population ages 65 and over. Since 1990, the LEP population in the U.S. – which now stands at approximately 25 million – has increased by 80 percent. The size and growth of the LEP population are particularly relevant for healthcare providers, as 80 percent of providers say they encounter LEP patients at some point throughout the year, and 43 percent report encountering them daily. Continued efforts to make language services available will be essential for enrolling eligible individuals who are limited English proficient into coverage and ensuring they have meaningful access to care. Educate customer-service agents: A meticulous language-access plan is only as effective as customer-service agents’ ability to put it into action. With Open Enrollment around the corner, take the time to educate your agents on how to reach your language-services provider, regardless of modality. Be proactive: Make your language-services provider a key part of your workflow when producing important new information. This ensures that it will ready for limited-English speakers when they first contact you. Translate applications and enrollment materials: Translate paper and online applications into the most common languages in the state. In at least 15 languages, include taglines on how callers can get assistance with the application in person or over the phone. Also, regulations require that enrollment materials be translated if more than 10 percent of a plan’s members speak a given language. These materials include welcome kits, evidence of coverage, and annual notices of change. Coach the call center: Prepare call-center agents on the correct way to support limited-English callers to ensure they have an understanding of programs and terminology. Train agents to access and efficiently work with interpreters. For automated phone systems, create voice recordings in multiple languages so that callers can directly access bilingual agents or interpretation services. Consider direct inbound lines to support high-volume languages. Same for the walk-up centers ...: Some Medicare plans have offices or walk-up centers where people can enroll in person. Make sure employees in these centers are trained on accessing an interpreter by phone or video, or are able to schedule a face-to-face, onsite interpreter in advance. Translate your website: Translate the plan’s website into languages most likely read by users besides English. Include taglines on the marketplace website in the state’s top 15 languages to inform LEP consumers about the availability of interpretation services. Go through search engine optimization (SEO) for each language. Translate notices and glossaries: Transform consumer notices into the most common languages in the state. Create a translated glossary of common health insurance terms and share it with LEP consumers, call agents, and interpreters. This will ensure that terms and definitions are used consistently in all communication. Conduct outreach and education: Develop culturally appropriate education and outreach plans that are customized to limited-English populations in the region. Individuals with limited English proficiency comprise a notable proportion of the US population and they are more likely to face barriers to accessing coverage and care. LanguageLine has more than three decades of experience helping Medicare plans attract and support limited-English enrollees. We provide qualified, on-demand interpretation through linguists who are trained in insurance terminology and available via voice and video in more than 240 languages. We also deliver culturally sensitive translation and localization, as well as staff testing and training.